Bethesda wants to develop all kinds of games, not drop single-player for the latest trends. In recent years, the video game industry has shifted towards a “games as services” model. It’s a system where each title gains new content and features over the course of its lifetime, usually in exchange for built-in microtransactions. Even the single-player focused Bethesda is trying out the format with the multiplayer-focused Fallout 76. But that’s not the same thing as embracing the service games model entirely. 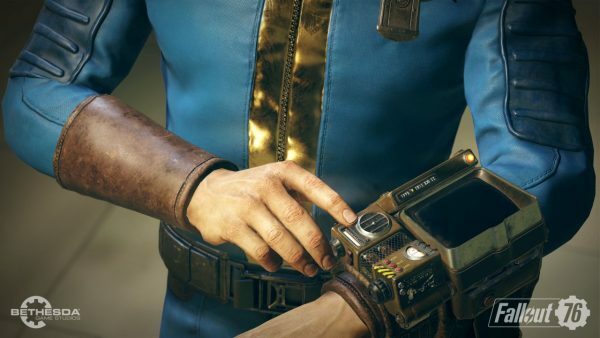 In fact, studio head Todd Howard clarified that Fallout 76 will not mark a departure from Bethesda’s traditional single-player games. “It doesn’t mark the future,” Howard told GamesIndustry.biz. “Corporately we’ve done a mix; people forget sometimes. Elder Scrolls online is one of the biggest online games in the world, we have Fallout Shelter which we keep updating, and Elder Scrolls: Legends. Howard’s word highlight a more diverse game line-up, where single-player games like Elder Scrolls 6 and Starfield are produced alongside Fallout Shelter and Elder Scrolls: Blades. And even when Bethesda launches a free-to-play mobile game, it approaches monetisation from different angles. Howard adds this is light approach to monetisation will continue when Blades launches later this year. The post Bethesda: service-based games like Fallout 76 don’t mark the future appeared first on VG247.